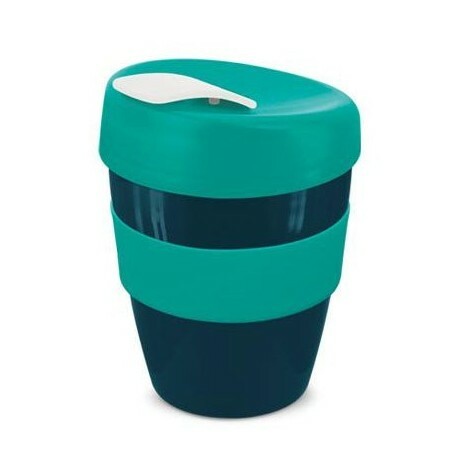 Design inspired 350ml reusable coffee cup with a heat resistant silicone band and a secure screw on lid which features a unique leak proof flip closure to prevent spills. 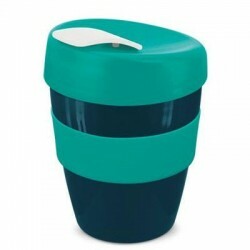 It is manufactured from tough BPA free, food grade polypropylene which is dishwasher safe and recyclable. 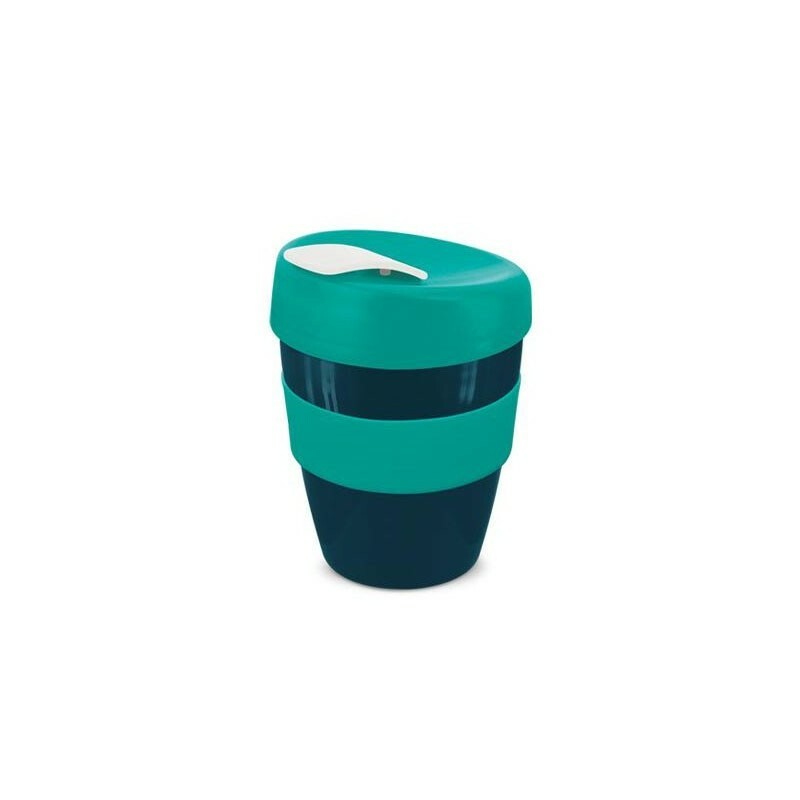 Design your own Express Cup - Deluxe with a staggering 38,416 colour combinations available ex stock and an optional Black gift box is available. Size: Dia 90mm x H 119mm.